Kick off your visit on the 5th (Sun): admire all the interesting features of HPCA Stadium. For photos, traveler tips, reviews, and tourist information, you can read our Dharamsala road trip site . Coimbatore to Dharamsala is an approximately 7-hour flight. You can also drive; or take a bus. Wrap up your sightseeing on the 6th (Mon) to allow time to drive to Manali. On the 7th (Tue), take in the spiritual surroundings of Siyali Mahadev Temple, take in the spiritual surroundings of Hidimba Devi Temple, then indulge in some personalized pampering at some of the best spas, then admire the verdant scenery at Solang Valley, and finally contemplate the waterfront views at Beas River. To find other places to visit, ratings, where to stay, and more tourist information, you can read our Manali vacation planner. Traveling by car from Dharamsala to Manali takes 5 hours. Alternatively, you can take a bus. 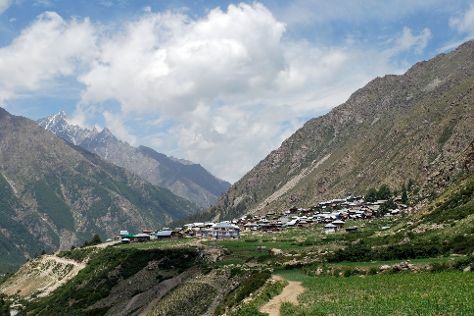 Finish your sightseeing early on the 7th (Tue) so you can travel to Sangla. Kick off your visit on the 8th (Wed): wander the streets of Rakcham and then take your sightseeing to a higher altitude at Chitkul. For ratings, more things to do, where to stay, and more tourist information, refer to the Sangla visit planner . You can drive from Manali to Sangla in 9.5 hours. Cap off your sightseeing on the 8th (Wed) early enough to go by car to Shimla. Kick off your visit on the 9th (Thu): make a trip to The Ridge, then take in the spiritual surroundings of Jakhu Temple, then make a trip to The Mall, and finally admire the landmark architecture of Viceregal Lodge. To find where to stay, reviews, traveler tips, and other tourist information, refer to the Shimla travel itinerary planner . Traveling by car from Sangla to Shimla takes 7 hours. Wrap up your sightseeing on the 9th (Thu) to allow time to travel back home.